Applications are invited from suitably qualified candidates for admission into the Adamawa State College of Nursing & Midwifery, Yola, Post Basic Nursing, Basic Nursing and Remedial Programmes for 2018/2019 academic session. Adamawa State College of Nursing and Midwifery Admission Eligibility. Candidates for admission into the Post Basic Nursing Programme must be Registered Midwives with a minimum of five SSCE credits in English Language, Mathematics, Biology, Chemistry & Physics. They must also hold a current practice licence of the NMCN. Candidates for admission into the Basic Nursing Programme should be at least 17.5 years old and have a minimum of five (5) SSCE credits in English Language, Mathematics, Biology, Chemistry & Physics (at not more than 2 sittings). Candidates for admission into the Remedial Programme should possess at least 3 credits in any of the minimum subjects required for admission into the Basic Nursing program. 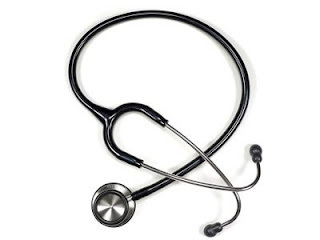 How to Apply for Adamawa State College of Nursing and Midwifery Admission. Applicants can walk into Skye Bank or Zenith Bank and pay #5000 for the application forms into the College of Nursing & Midwifery, Yola, account through Adamawa State Gov’t Pay Direct. Printout of payment slip is then presented to College Bursary Department for issuance of receipt and application form. PLEASE IF YOU HAVE DIFFICULTIES IN UNDERSTANDING THE PAYMENT MODALITY, ASK A BANK STAFF TO GUIDE YOU AS ONLY PAYMENTS MADE CORRECTLY ARE ACCEPTABLE TO THE COLLEGE. PLEASE NOTE: The College does not sale its forms online!! !